Join Troy and Lisa from American Hauntings at the haunted Mineral Springs Hotel for another night of our “An Evening with…” series of events! This eerie night will include a catered dinner from the Best Western Premier in Alton and it will be served in the Crystal Dining Room at the 1914 Mineral Springs Hotel. After dinner, author Troy Taylor will be presenting “One August Morning,” the true story of the Borden murders in Massachusetts and offering an in-depth look at the events that have since become one of the most famous crimes in American history. Or did she? Troy Taylor maintains that she was never swung the ax — and he’s willing to offer the evidence to prove it! 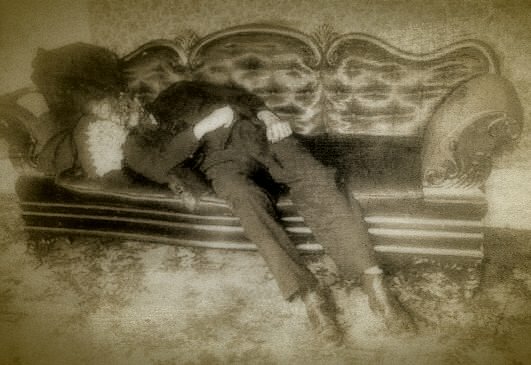 Lizzie Borden is a name that has lived in infamy. As everyone knows, she’s the young woman who “took an axe and gave her mother 40 whacks” and then “gave her father 41.” Everyone seems to know the rhyme, but most people don’t know the truth behind the grim story of one of America’s most famous unsolved murders. 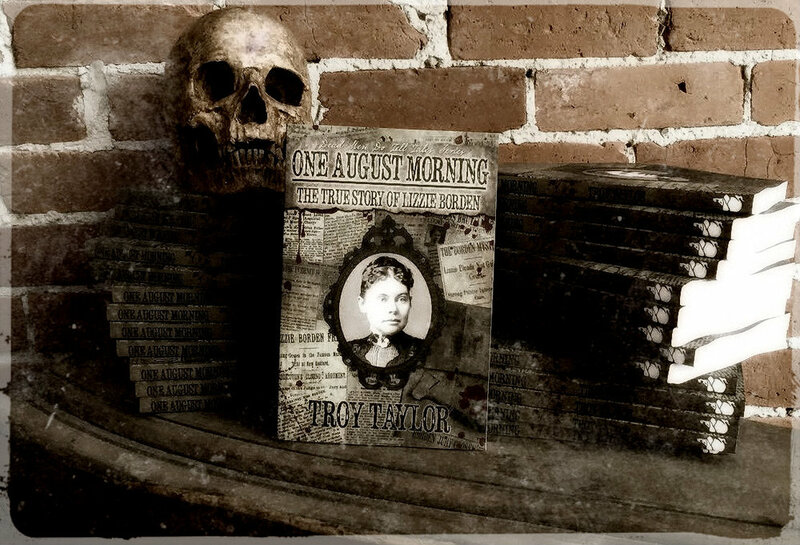 Author Troy Taylor delves into the true story of the Borden Murders, revealing what really happened on that morning in August 1892, how Lizzie was hounded by the police, prosecutors, and reporters, and then finally acquitted – yet always believed to be guilty. Was she a murderer or truly innocent? Did she swing the hatchet that killed her parents, or was Lizzie simply part of a plot that accidentally led to murders committed by a madman? You’ll have the chance to decide for yourself as the suspects are revealed, the conspiracies unveiled, and the strange circumstances of this haunting case are presented. 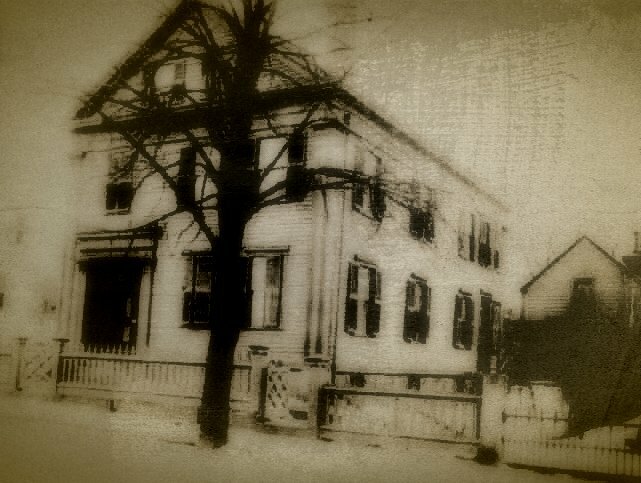 Forget everything you already think you know about this compelling case and discover what did – and what did not – happen in the story of Lizzie Borden! What dark secrets have never been told? What happened in the grim aftermath of the murder trial? 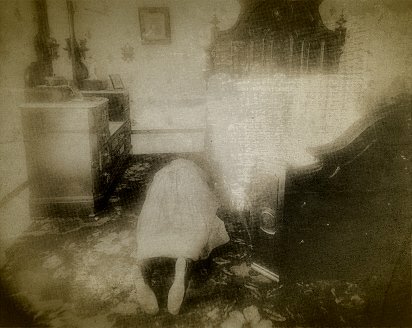 Do the spirits of the dead still linger in the house where the Bordens were killed? You’ll find these answers and more and you’ll never look at this chilling story in the same way again! CLICK HERE FOR RESERVATIONS!